This game… Okay, I was always warned about Persona games or any kind of Shin Megami Tensei types of games. I’m a huge scaredy cat. It’s true, there’s no shame in it. I’m a huge wuss. So, everyone felt the need to tell me I couldn’t handle these games. “They were too scary, Mely!” or “You won’t sleep, Mely.” Ugh. SO MUCH TIME WASTED! These games are incredible! I am now having to make up for lost time. I am not at all happy about it. Well, sort of. It’s exciting discovering a “new” game that isn’t entirely new but new to you, you know? 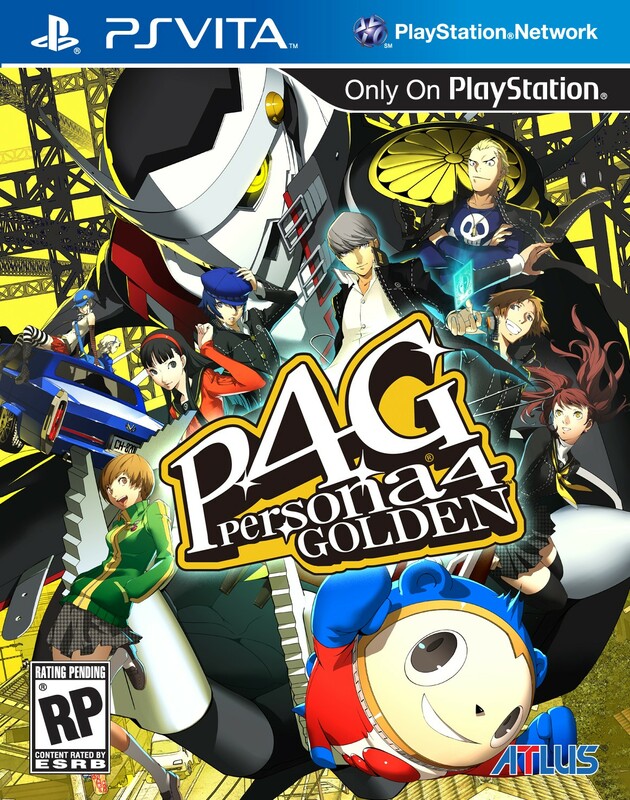 Persona 4 Golden for PS Vita is spooktacular? HAHAHA! No, sorry. This game is not scary at all. Sure, it has kind of weird monsters and you are solving a murder (in a way), but it isn’t really scary. It’s a strong JRPG. It will have you wanting more. The storyline keeps you interested and you will be playing hours upon hours without realizing it. It’s not effortless. The game takes a lot of planning and, you know the drill, grinding. Not the painful type of grinding that leaves you feeling miserable but the good kind that provides you with rewards and character development. There are a lot of side quests within the story. They aren’t boring and will definitely benefit you as you progress through the main storyline. This game focuses a lot on developing relationships with your fellow characters, so do it! The title will make sense once you begin playing but Personas are these “characters” that help you throughout your journey. They can be created and are made stronger depending on the relationships you build. Don’t skimp! Don’t rush! If you have no patience for RPGs, think about skipping this one. Wait, no. Take some anger management classes or pick up some yoga. This game is the shiznit and everyone should play it.